Hello! Portia de Rossi laughs as Ellen DeGeneres checks out Katy Perry's outfit. They gasped, they cheered, they clapped, they sang along, they got up and danced. For much of the proceedings on Grammy night, some of the most captivating moments took place not on the star-studded stage, but down in the audience. We culled together a selection of our favorite moments from within the crowd – from the cuddlers to clappers the cryers and all points in between. Katy Perry and John Mayer took their couple status public. Adele and Beyonce shared a smile in the audience. Some of the biggest stars of the night even seemed to color-coordinated their outfits: Justin Timberlake, Jessica Biel and Beyonce kept their attire black and white. 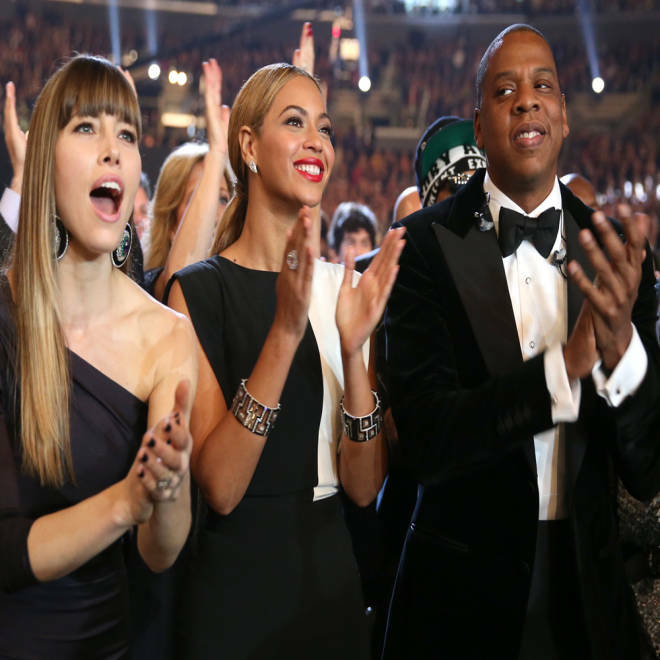 Jessica Biel cheered with Beyonce and Jay-Z. Power couples: Jennifer Lopez and beau Casper Smart sat next to Nicole Kidman and Keith Urban. Are-they-aren't-they couple Chris Brown and Rihanna cozied up to each other in the crowd. 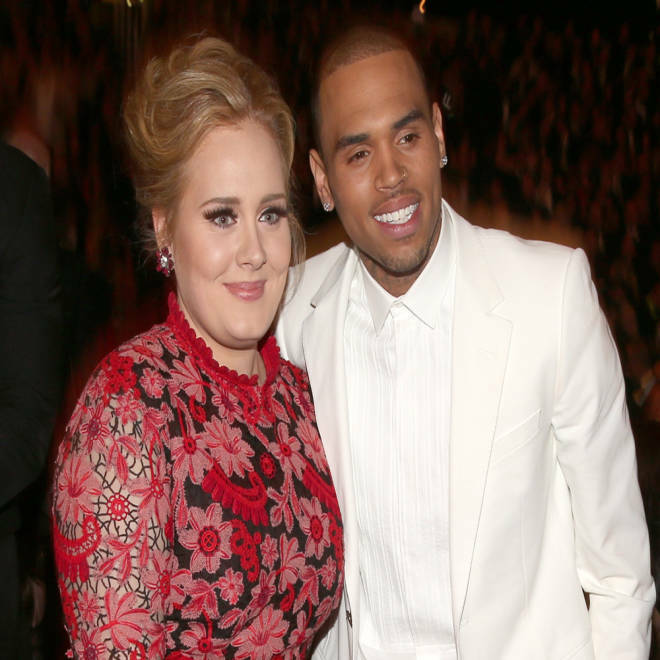 Adele and Chris Brown posed for a pic together. GIRLS star Lena Dunham celebrated with her boyfriend, fun. guitarist Jack Antonoff, who took home two Grammys. Lena Dunham also shared a moment with fellow audience member Taylor Swift. A beaming Kelly Clarkson gave us a glimpse of her engagement ring as she sat with fiance Brandon Blackstock. Kelly Clarkson photobombed this adorable shot of Portia de Rossi and Ellen DeGeneres.